The post Wydad need point at Zesco to finish first appeared first on World Soccer Talk. 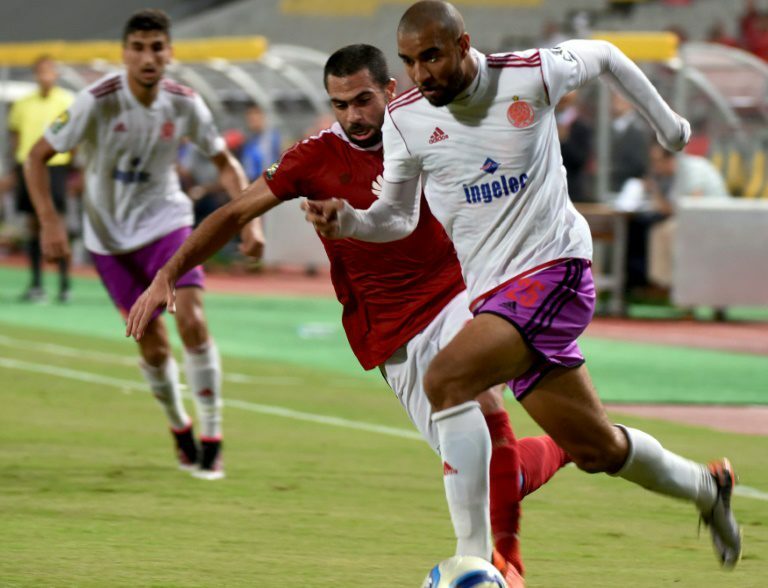 Johannesburg (AFP) – Wydad Casablanca of Morocco need a point at Zesco United of Zambia on Wednesday to win Group A and set up a CAF Champions League semi-final showdown with Zamalek of Egypt. But if the 1992 African champions lose at Levy Mwanawasa Stadium in Ndola, they will drop to second spot and face Group B winners Mamelodi Sundowns of South Africa instead. The psychological advantage ahead of the final-round match lies with Wydad as they overcame Zesco more comfortably than the 2-0 scoreline suggests in Morocco two months ago. Walid El Karty nodded Wydad into an early lead and a second half own-goal by Kenyan David Owino sealed the fate of under-the-cosh Zesco. Coached by former Real Madrid manager and Liverpool striker John Toshack, Wydad top the table with 10 points despite a mid-group crisis. After defeating ASEC Mimosas in the Ivory Coast and Zesco, the 2011 Champions League runners-up took only one point of a possible six off struggling giants Al Ahly of Egypt. And they battled to translate dominance over ASEC at home into goals until Congo Brazzaville-born Fabrice Ondama scored in the final minute to deliver a crucial 2-1 win. That result, and Zesco holding record eight-time African champions Ahly 2-2 away, eliminated the Egyptian and Ivorian clubs from the title contest. Zesco have exceeded expectations by reaching the semi-finals although coach George Lwandamina remains worried about concentration lapses in defence. “Our defence has a tendency to fall asleep after we score and this allows opponents back into matches,” said Lwandamina, who doubles as the caretaker national coach. What the Zambian outfit do have in abundance, though, is consistent goal scorers with Idris Mbombo from the Democratic RepubIic of Congo scoring five in this Champions League campaign. Clatous Chama and Kenyan Jesse Were have notched four each and John Ching’andu three, and Zesco struck six goals in two previous home group games. Failing to reach the semi-finals cost Ahly coach and former Tottenham Hotspur manager Martin Jol his job amid safety concerns. Netherlands-born Jol was threatened on social media and furious supporters of the Cairo Red Devils reportedly reacted to the African exit by trying to disrupt a training session. Assistant coach Ossama Orabi has taken charge for the meaningless midweek match against 1998 champions ASEC at Stade Robert Champroux in Abidjan. Another fixture where only pride is at stake involves already-eliminated Enyimba of Nigeria and Sundowns in Port Harcourt. Zamalek have a bye as Entente Setif of Algeria were disqualified.